Nestled on the coast of the Atlantic Ocean in exotic Portugal, Oura View Beach Club is the ultimate European beach vacation destination. 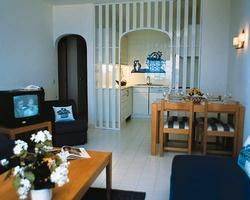 The upscale resort offers top-notch luxury at every turn, with amenities and accommodations suited to make your Albufeira, Portugal vacation a lifelong memory. Oura View Beach Club offers luxurious Algarve timeshares for sale, epitomizing upscale holiday accommodations set in a true Portuguese beach paradise. Timeshare resales range in size from cozy studio units to more spacious two-bedroom, condo-style vacation apartments. Each unit includes such amenities as a full or partial kitchen with all the essentials and even a separate dining area, satellite television, and furnished balcony or patio area with spectacular ocean or resort views. Vacation units sleep between two and six guests comfortably and allow for ample privacy while still providing plenty of gathering space with its open floorplan. With an Algarve timeshare for sale, you enjoy luxurious accommodations paired with the one-of-a-kind location on Portugal’s beaches. 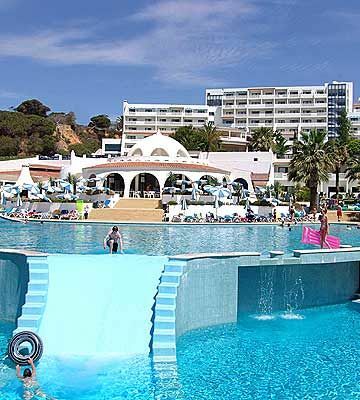 Albufeira is renowned for its world-class beaches lined with rocky cliffs and teeming with wildlife. The Oura View Beach Club sits only a short distance from nearby attractions, including the historic village of Pademe. Pademe boasts 18th century structures lining the beautiful Portuguese countryside, offering unique photo opportunities. Back around the resort, several golf courses, night clubs, and delicious restaurants allow you to explore life outside of the resort. The resort is a picturesque haven of tranquility, offering a pristine azure blue swimming pool lined with bubbling whirlpools and tons of deck space for sunbathing. The resort boasts several al fresco dining locations for taking in the remarkable scenery. Also on-site, enjoy use of the resort fitness center, indoor lap pool, beach access, laundry facilities, and even a pampering full-service spa. Contact Oura-View Beach Club Specialist Today!